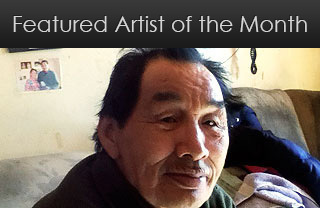 Lester is an Inuit artist, born in 1976 and raised in the small community of Postville, on the north coast of Labrador. He remembers first picking up pencil and crayons at the age of 2 and never losing his love of art. By the age of 19 he was carving wood, stone and bone and at 21 he advanced from drawing to painting, drawing from nature and his Inuit cultural heritage with his imagery. 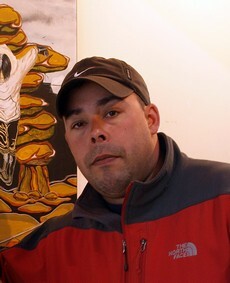 However, with little in the way of formal training or exposure to art and design, he moved south to Stephenville, Newfoundland and enrolled in the visual arts program at the West Coast College of the North Atlantic. Lester graduated from their arts program in 1998, but with a limited market back home in Postville, Labrador or any other east coast cities or towns, he found himself in Alberta working in the oilpatch for the next 12 years. 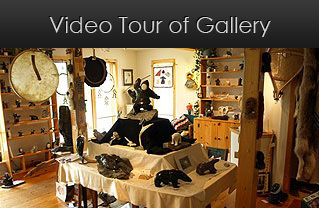 Finally, his yearning for home and some renewed artistic expression and stimulation, saw him back home on the north coast of Labrador in 2012, where he has returned to his creative and cultural roots. 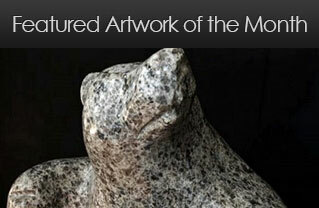 His new work continues to be an expression and interpretation of who he is as an Inuit artist and where he comes from.